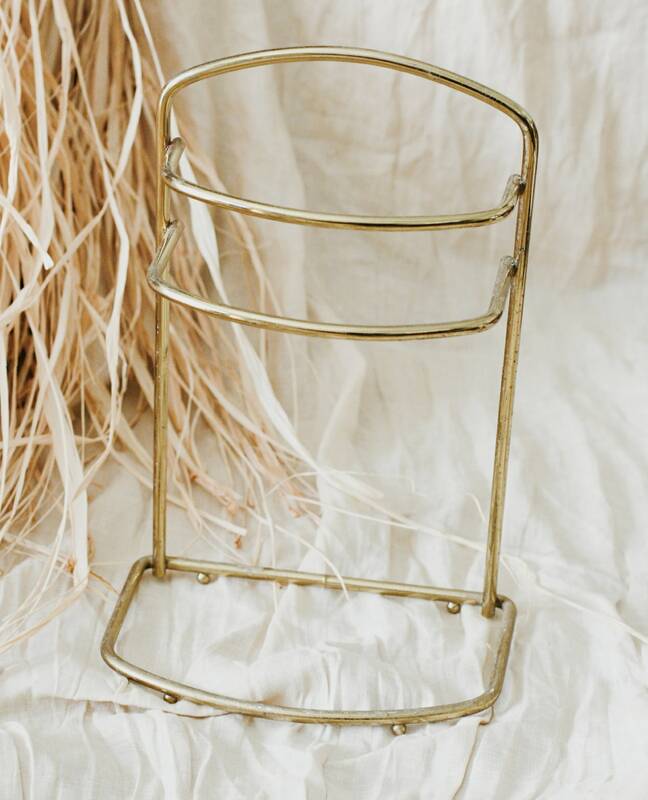 Vintage metal towel holder. Made to sit on countertops for hand towels. Also great for scarves and jewelry. Great vintage condition. Normal wear and tarnish. Especially at the base. Please refer to pictures.